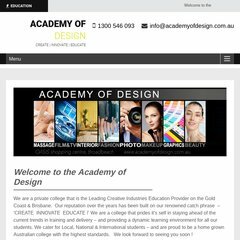 Topics: Student Life, How To Enrol, Apply, Photography, and Certificate Iv In Photoimaging. On average 2.00 pages are viewed each, by the estimated 21 daily visitors. ns25.datalinkpacific.com.au, and ns19.datalinkpacific.com.au are its DNS Nameservers. Cogswell Enterprises Inc (Illinois, Chicago) is the location of the Apache server. Its local IP address is 96.30.54.140. PING (96.30.54.140) 56(84) bytes of data. A ping to the server is timed at 25.8 ms.